This Filler Gauge contains 17 blades and they're marked with their thickness from 0.02mm to 1.00mm. 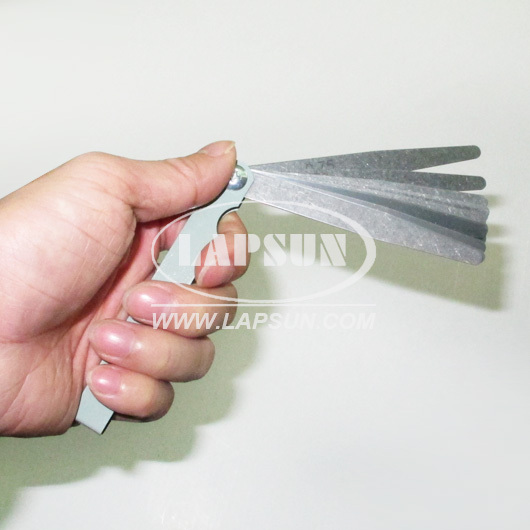 Blade thickness: 0.02 0.03 0.04 0.05 0.06 0.07 0.08 0.09 0.10 0.15 0.20 0.25 0.30 0.40 0.50 0.75 1.00mm. 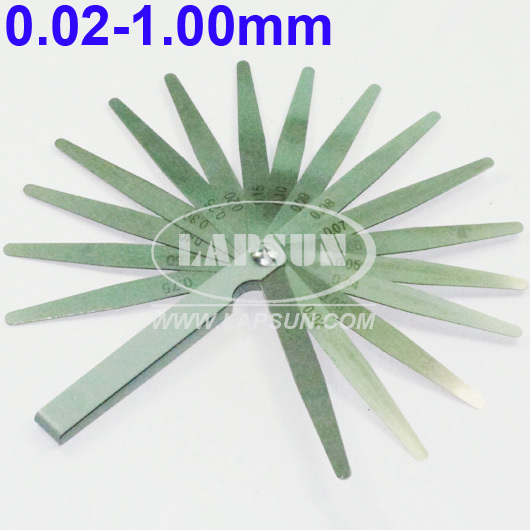 The blades of the Thickness Piece are made of tempered metal. 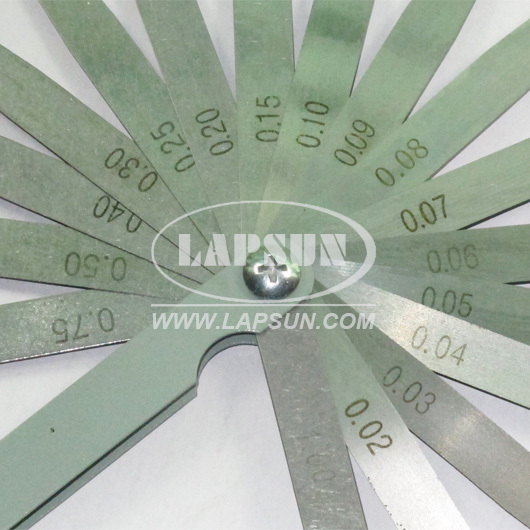 The Feeler Gauge can be used for measuring a gap between two components. You can easily select the blades you want and return the unused blades back into the holder. 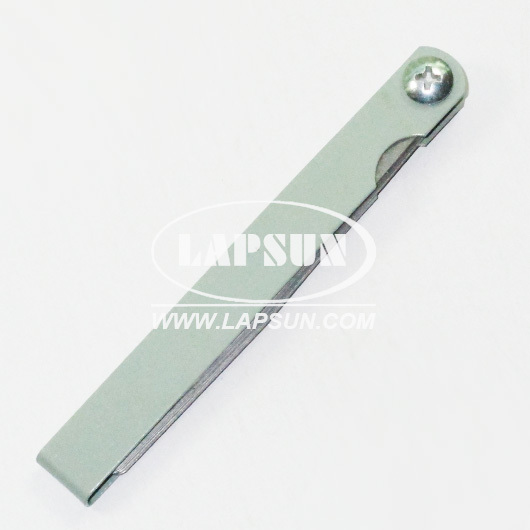 The Filler Feeler Gauge may be smeared butter for anti-rustiness, please clean it before use.